Research in recent years has shown that many high speed hand dryers can become damaging to your ears, especially if you are already suffering from some form of ear damage. Many hard of hearing, elderly, or young people entering bathrooms have complained about the levels of sound that a high speed hand dryer can emit. 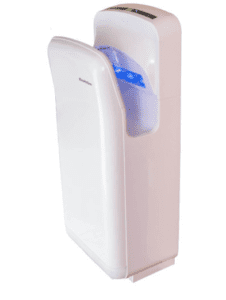 However, when you buy your hand dryers from Blow Motion, you won’t have to compromise on speed or quietness with our range of quiet high speed hand dryers. Our high speed hand dryers offer drying speeds of 9-12 seconds so you won’t be spending too long hanging around in the bathroom. But, as well as this, we ensure that our hand dryers won’t emit sound higher than that of a domestic hairdryer. With many high speed hand dryers being described as producing similar sound levels as pneumatic drills, this should be a welcome change. Many of our hand dryers produce only around 72db of sound. We don’t conduct our sound tests in a sound-proof room, we make sure that we’re testing volume in a location similar to a bathroom – which is usually tiled and filled with mirrors. We know that the volume of a hand dryer is an important element, which is why we make sure that we’re making products that are as quiet as possible at all times. 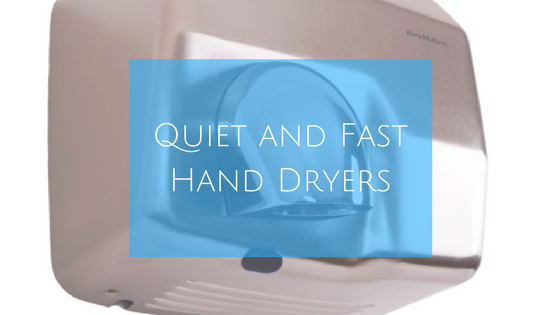 We have an amazing range of quiet hand dryers that are fast-drying, so you won’t have to compromise on speed or volume when you shop with us. Check out our range of products on our website and take your pick of a wide variety of hand dryers that can be perfect for your commercial washroom. If you want to learn more about any of our hand dryers, speak to a member of our team by calling 0800 002 9678 and get the answers to any questions you might have!